Live de life! Drink de beer! She was not new, but she had the elegance and grace of the classic era of cruising from which she hails. 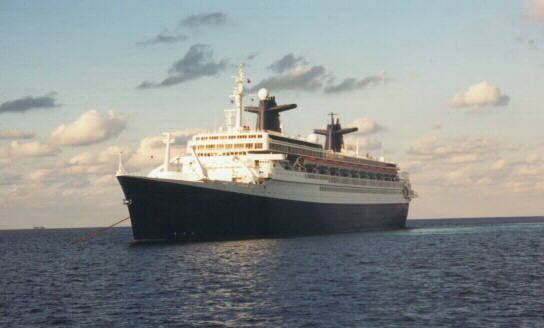 Originally the transatlantic liner the S/S France, she was re-christened the S/S Norway when purchased from the French by Norwegian Cruise Line, and she sailed the Caribbean until about 1999. At 1,035 feet in length--the longest of her two other contemporaries, the Queen Mary and the Queen Elizabeth II--she could cruise at 25 knots while accommodating 2,032 passengers and a crew of 1000. With her classic lines, her large public rooms, and her colorful history, she remains my favorite cruise ship. Her lower priced cabins were not as ornate or spacious as those found on the newer ships, but some concessions had to be made to sail a legend. The cruise, airfare, taxes, and port charges for a seven-day cruise could be arranged for less than $1,000 per person. Unfortunately, the cost of repairing and maintaining an older ship and the new safety requirements put in place made it unfeasible for the cruise line to continue sailing her. There was a movement among former passengers to convert he into a hotel. But last I heard, she was being towed to somewhere in Indonesia to be cut up for scrap. Not a fitting end to such a glorious lady. The Precision 21 is manufactured by Precision Boat Works. It was designed by Jim Taylor Yacht Designs to fit in between the smaller Precision 18 (the simplest and most affordable trailerable yacht) and the slightly larger Precision 23 (one of the biggest cruisers that can be practically trailered). 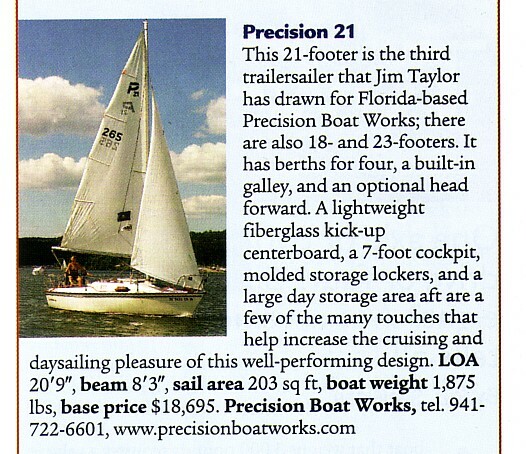 The Precision 21 is 20 feet, 9 inches in length, and she has a beam of 8 feet, 3 inches. Her displacement is 1,875 pounds with ballast of 600 pounds. 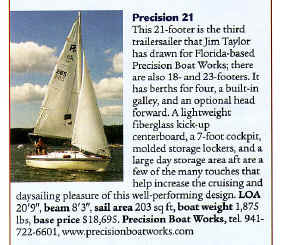 The Precision 21 is the second Precision sailboat I have owned. My first was a Precision 18 (Kalapana), but I desired more interior room for overnight cruising. I also desired a water system and a stove. The Precision 21 nicely accommodates those desires. 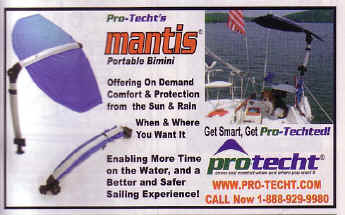 She is an attractive boat with good sailing performance. Appropriately, my Precision 21 bears the name Banana Republican. A few years after purchasing Banana Republican, I found that I missed being able to easily transport a boat to new and distant sailing areas like Chesapeake Bay and Lake Erie. Therefore, I purchased another Precision 18 that I christened Banana Wind. 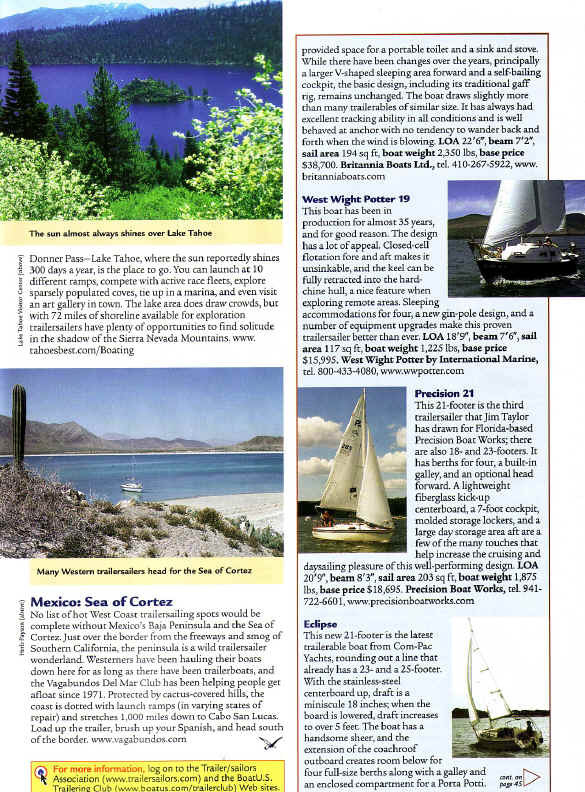 With my fleet of "banana boats," I was able to maintain comfort while relaxing in the Davis Hollow Marina or sailing on the home waters of Lake Arthur, and I was also able to venture out and discover new sailing areas and sailing experiences. 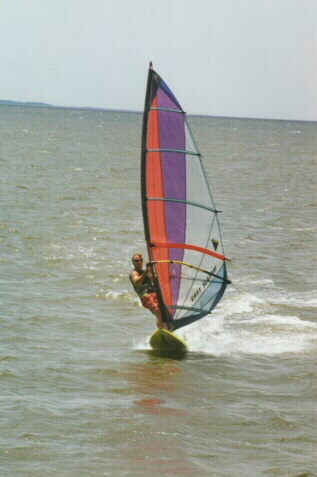 As my flexibility decreased due to two hip replacements, I had to let the smaller Banana Wind go--too difficult to spend several days in a small cabin when you can't bend and twist like before--and the Banana Republican continued to provide me plenty of room and plenty of sailing pleasure. Eventually, I traded up to a larger Seaward 23 and let the Banana Republican move onto another owner. I always thought that if I were to make the jump to the next sized boat, it would probably be the Seaward 25 manufactured by Hake Yachts. The Seaward 25 is a 25-footer with the comfort and feel of a much larger boat. She has a straightforward, uncluttered cabin with a galley, private head, and ample stowage for coastal cruising. She also has the options of wheel steering, inboard diesel, marine head with holding tank, hot and cold pressured water, shower, and electric refrigeration. The Seaward 25 has an overall length of 26 feet, 9 inches with an 8 foot, 4 inch beam and a 25 inch draft. With a displacement of 3,600 pounds, she is still trailerable. Her base sail-away price was about $34,000. Unfortunately, Hake Yachts no longer makes the Seward 25, and they have replaced it with the new Seaward 26RK. 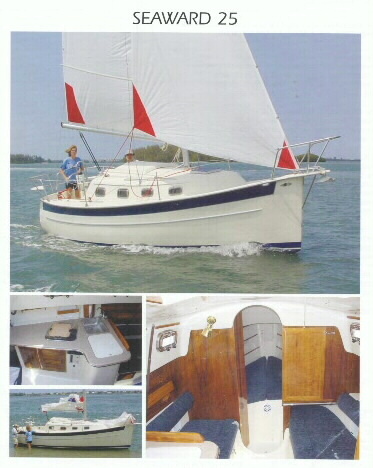 It is similar to the Seward 25, but it is slightly longer with a retractable keel. In the end, I purchased a Seaward 23 instead of a Seaward 25 because it seemed to fit my needs better and I found a nicely appointed one that was a year newer than my Precision 21, Banana Republican. I named my new Seaward 23 Banana Wind 2 after my first Banana Wind, and I also picked up an old Seaward Fox, that I named Paladin, as a restoration project. 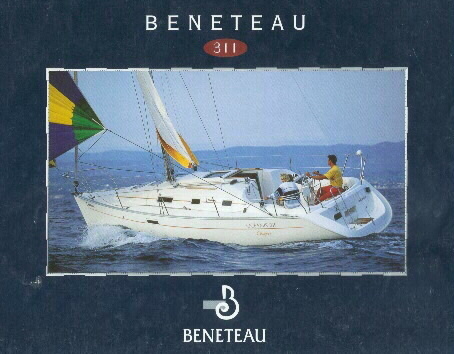 The Oceanis 311 built by Beneteau is a boat I could see myself living on and calling home (someday). With headroom of 6 feet, 1 inch in the main salon, she has all the amenities of a large coastal cruiser—with an affordable price tag of $69,600. 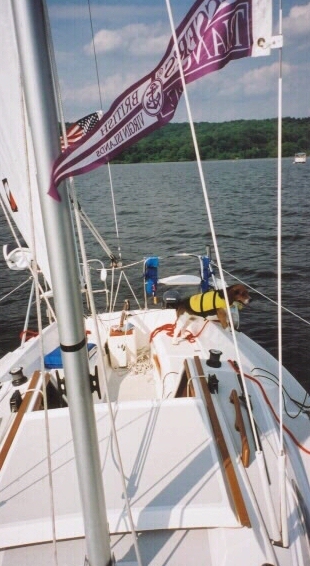 She is small enough to be sailed single-handed (if you know what you’re doing), and big enough to live on. She has an added option of a retractable keel with double rudders so she can sit upright on a stable tripod in areas that dry out at low tide. The Oceanis 311 is a 2 cabin, 1 head yacht with an overall length of 32 feet, 3 inches, and a beam of 10 feet, 6 inches. Her draft is 4 feet, 8 inches, and her displacement is 7,716 pounds. At that size, she is not trailerable. Although I had previously considered the Beneteau 311 as my potential "retirement" boat, I was captivated by the Catalina 310 this year at the Annapolis Boat Show. Although very similar to the Beneteau (except a little more expensive), the interior was much more comfortable, especially the bed in the V-berth cabin. Maybe I'm getting old, but the comfort factor is much more appealing to me now. But then again, who knows what I'll see at next year's boat show. 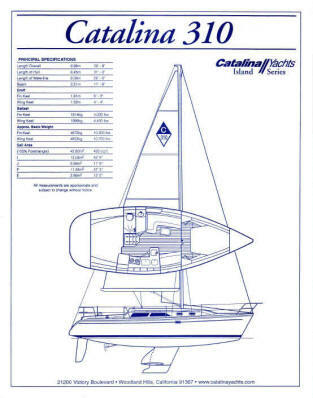 The Catalina 310 is manufactured by Catalina Yachts of Woodland, California. If you are interested in chartering a boat rather than purchasing one, see Silvia Driver and Andrew Thompson at Horizon Yacht Charters in the British Virgin Islands. They have 20 years of sailing and chartering experience between them, and they offer a select quality fleet of yachts for charter (and purchase). Horizon Yacht Charters is based in the Nanny Cay Resort and Marina on the island of Tortola. The resort offers a pool, two restaurants, tennis courts, beach with snorkeling reef, water sports, bike shop, boutiques, and a provisioning store. Sylvia and Andrew can be reached toll-free at 877-494-8787 or email at info@horizonyachtcharters.com. They have opened another charter service on Grenada in the Grenadines, and they are soon to open charter bases in Antigua and Barbuda. Horizon Yacht Charters is an official dealer for Bavaria Yachts. 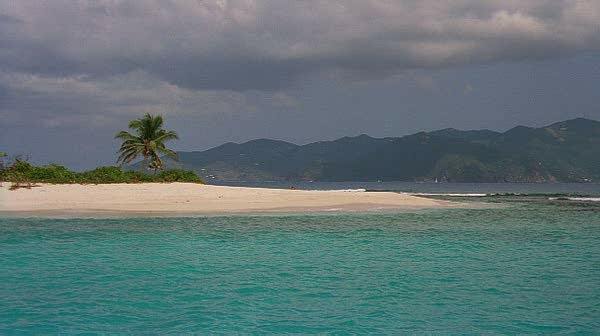 It is small, nothing more than a spit of sand with palm trees, and it is located off Sandy Cay at 18 degrees, 26 minutes north latitude and 64 degrees, 42.5 minutes west longitude between the islands of Jost Van Dyke and Tortola in the British Virgin Islands. You can walk the entire perimeter of the island in two minutes. It is, by all comparison, paradise. It is also a great place to have a picnic lunch, catch some rays, and kick back a few cold ones. But be aware that there is nothing there but sand and palm trees, so pack a lunch and BYOB. Sandy Spit must be approached by boat—I know of no other way to get there. There are no docks, so you must anchor out and swim or dinghy ashore. 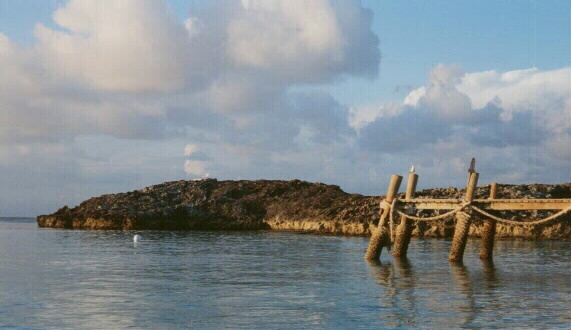 A reef surrounding the island starts almost at the water’s edge, so swimming is the preferable method to get to shore. 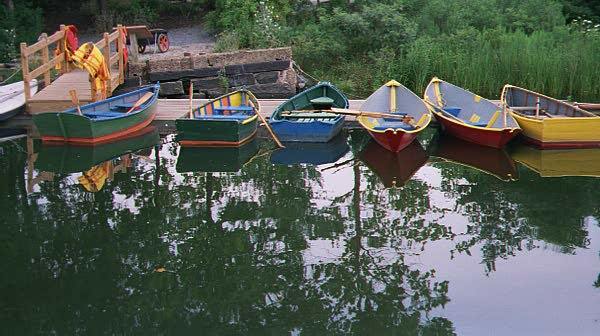 If you dinghy in, keep careful watch so as to protect the bottom of the dinghy near the shoreline. It is not as tiny as Sandy Spit, but Great Stirrup Cay is another small gem in the Caribbean. 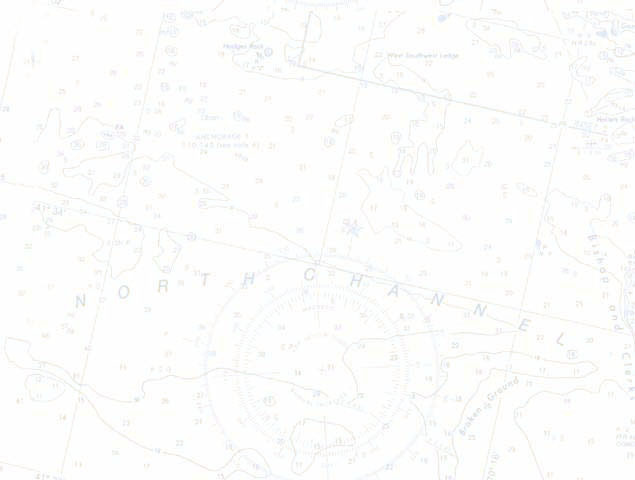 It is a narrow island only about a mile long located in the Bahamas at 25 degrees, 50.451 minutes north latitude, 77 degrees, 55.078 minutes west longitude. Great Stirrup Cay is the private island of Norwegian Cruise Line, which leases the island from the Bahamian Government. Because the cruise line does not lease the entire island, boaters often anchor off the public side of the island near the lighthouse. The only thing separating the two sides is a sign. The developed side of the island—the side leased by Norwegian Cruise Line—has a nice beach with a horseshoe reef enclosing it that allows for some fairly good snorkeling. There is usually a cruise ship visiting every day with the passengers engaged in a beach party that includes food, live music, and sporting activities. Right next to the island—a short swim away—is its sister island, Little Stirrup Cay, which is the private island of Royal Caribbean Cruise Line. Roanoke Sound along the Outer Banks of North Carolina just off Nags Head doesn’t sport much of a beach, but it provides an excellent environment for windsurfing. The shallow waters of the sound combine with the strong consistent winds of the region to produce an ideal setting for honing your windsurfing skills. Oysters along the bottom often pose a hazard to exposed feet, so footwear is advisable to avoid lacerations. At the Holiday Isle Beach Resort and Marina on Islamorada in the Florida Keys (84001 Overseas Highway, Islamorada, FL 33036, phone 305-664-2321) there is a road that runs through the resort and ends at the water’s edge beside Rumrunners Bar. This spot provides another excellent windsurfing location. Like Pamlico Sound off Nags Head, very shallow waters, warm weather, and strong breezes produce an ideal windsurfing location—and Rumrunners is nearby to help relieve the stress after a hard day of windsurfing. It’s not exactly seven miles, but no one on Grand Cayman Island really cares. 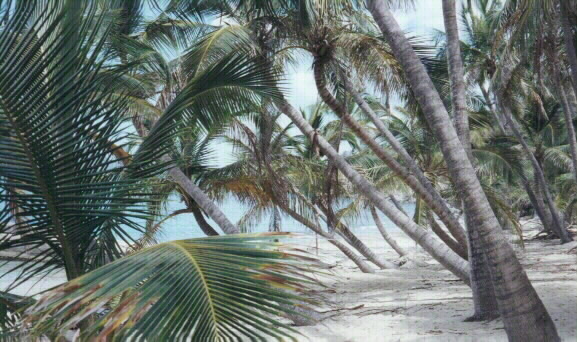 If you visit Seven Mile Beach in the Netherland Antilles, you won’t care either. The turquoise waters, the pure white sand, and the many hammocks slung between the palm trees will distract you long before you succeed in measuring the exact length of the beach. 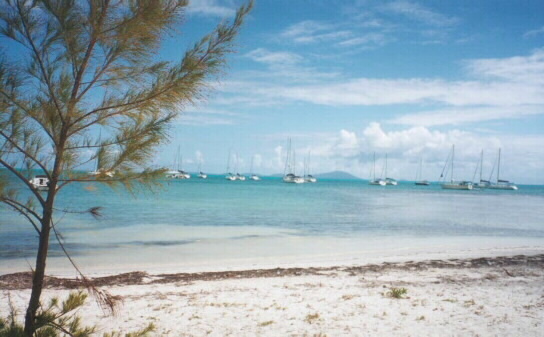 Anegada is the most northern island in the British Virgin Island chain. Known as the Drowned Island, it is a flat island located at 18 degrees, 42.55 minutes north latitude, 64 degrees, 23.95 west longitude. Its entire perimeter consists of pristine beaches, especially in the area of Loblolly Bay. Because of the reef that surrounds the island and extends almost to the island of Tortola, the area is littered with shipwrecks from which the former pirate inhabitants used to derive their living. Now only lobsters, cows, goats, flamingos, and a few natives inhabit the island. Crossing the island of St. John in the U.S. Virgin Islands, you come to a curve in the road at a precipice from where you can look down and behold the splendor of Trunk Bay. It is from that vantage point that Hollywood set up its cameras a few years back to film a movie about Christopher Columbus. (It was the Columbus movie in which Tom Selleck appeared in a supporting role.) The scene from the movie is the same as the one pictured above except that the Nina, Pinta, and Santa Maria are anchored in the bay. Even without Columbus’ ships anchored offshore, Truck Bay is still a beautiful spot to visit. With an underwater national park a short distance offshore, it makes for excellent snorkeling as well as swimming or just lounging on the beach. Carnival Cruise Line has developed a very nice private beach area beside its cruise ship pier in Roátan, Honduras, called Mahogany Bay. There is a chair lift over to the beach if you prefer not to walk, but the walk is short (5 minutes) down the pier and over a short bridge. There is a small village with shops before the you get to the beach, and there are a number of bars lining the private beach with beach chairs all along the beach. The swimming area is very nice with a sandy bottom, and it is roped off to keep people from swimming out too far. There is nothing to see if you try to snorkel in the swimming area, but there is excellent snorkeling on the other side of the pier that marks the end of the swimming area at the far end of the beach. Because it is not a cruise line sanctioned snorkeling area, there is no snorkel equipment available for rent. The cruise ship does not sanction snorkeling on the other side of the pier, and they will not tell you about it on the cruise ship (because they want you to purchase a snorkeling excursion), but if you bring your own equipment, you can snorkel the excellent coral reef that starts about 20 feet from the end of the pier. There are wooden steps on end of the pier at the very end on both sides that makes it very convenient. On the small island of Prickly Pear across Gorda Sound near Vixen Point just north of Virgin Gorda in the British Virgin Islands chain, there is a bar known as the Sandbox Beach Bar (pictured above). During the off-season that begins right after Easter and runs until the end of hurricane season, the place is pretty sedate. But in the high sailing season, it can come to life with live music, liquor, and boisterous crowds of locals and tourists alike. I attended one of the wildest beach parties in my life at the Sandbox. 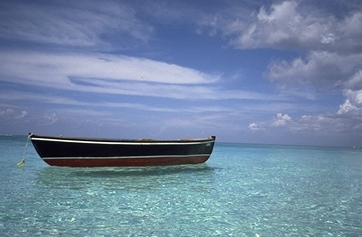 Upon approaching Virgin Gorda from the sea, Columbus mused that the island looked like a fat virgin lying on her side. 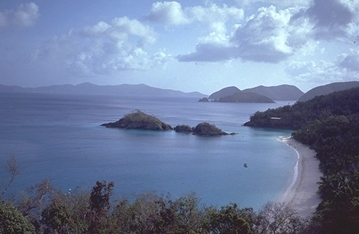 Sitting in the Sandbox and looking across North Sound at Virgin Gorda, you can easily share Columbus’ vision. If you can’t, keep drinking—you will. One time when I was at the Hurricane Lounge in Pass-a-Grille, Florida, a waterspout formed in the parking lot and proceeded to move out to sea. It was an amazing sight. The time I was there a few years prior to that, the restaurant was sponsoring its Annual Bed Race through the street of Pass-a-Grille, an equally amazing sight. But despite the bed races and waterspouts, what kept me returning to the Hurricane Lounge is the Black Grouper Chowder. I recently returned there after many, many years, and I was disappointed to see how it had grown (to three stories), and I could no longer order food in the bar. How disappointing. I don't know if the grouper chowder and grouper sandwich are as good as they used to be because I didn't stay after seeing how commercial the place had become. I'm leaving it here on this site because I have memories of how nice the place was when it was still just a little beach bar and restaurant. 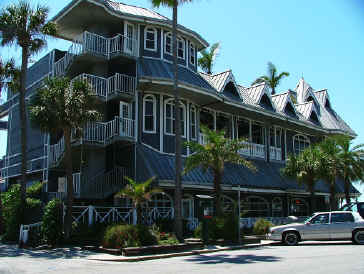 The address of the Hurricane Lounge is 807 Gulf Way, St. Petersburg (Pass-a-Grille), FL 33706. The phone number is 727-360-9558. On the island of Jost Van Dyke in the British Virgin Islands, located along the shore line of Great Harbour, is Foxy’s Tamarind Bar & Grill. It is one of the British Virgin Islands most famous bars due mainly to the colorful personality of its owner, Foxy Callwood. Foxy used to perform daily from 4 – 6 p.m. offering his own unique perspective of life expressed in calypso ballads. Interacting with the bar patrons, he would incorporate audience responses into his original songs and his masterful improvisations. Unfortunately, surgery to remove polyps from Foxy's throat has resulted in doctor's orders that he give up his singing. Regardless, he still remains an entertaining personality at his bar and restaurant. He has also opened a new bar and restaurant run by his daughter on the other side of the island, Foxy's Taboo, named after his old dog, Taboo. Foxy’s phone number is 284-495-9258. Mix all ingredients with cracked ice in a blender and pour into a chilled Collins glass. Garnish with a Maraschino cherry and an orange slice. "Where the ocean meets the man"
If you’re really lucky, you'll run into Captain Tony Terracino himself—boat captain, gunrunner, and former mayor of Key West. He was immortalized in the 1980 Hollywood movie Cuba Crossing staring Stuart Whitman. Captain Tony’s is located at 428 Greene Street, Key West, FL 33040. The phone number is 305-294-1838. 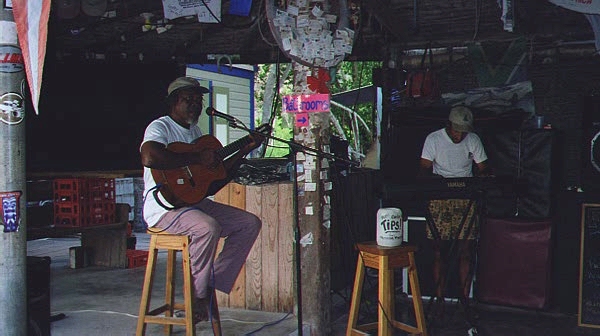 Also found on Jost Van Dyke, but around the corner from Great Harbour in White Bay, is the Soggy Dollar Bar. 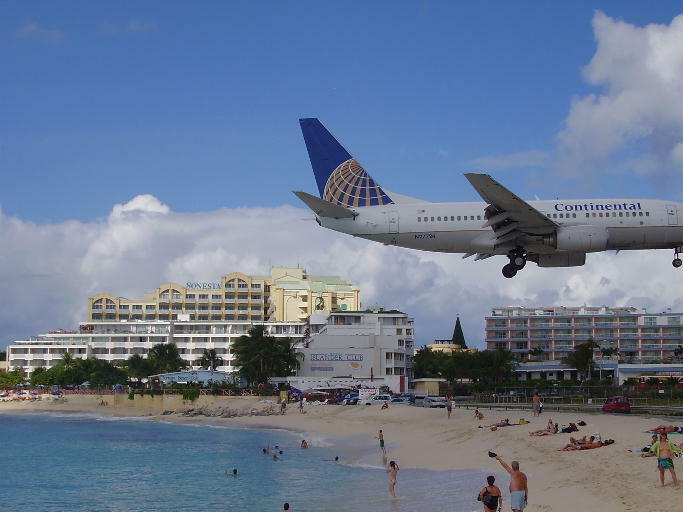 It is located on the beach in front of the White Bay Sandcastle Resort. The proprietors are Debby and Bruce (phone 284-495-9888). Nestled in a breathtaking tropical setting, it is the epitome of what a beach bar should be. Being a local favorite, it is usually filled with local sailors who came for a drink and never bothered to leave. The Soggy Dollar Bar is where the drink the Painkiller was invented, and the bar got its name from a sailor who swam ashore for a drink and paid for it with a soggy dollar. Since there is no dock in White Bay, you might also find yourself swimming ashore if you arrive by boat. Pour into a big glass filled with ice and grate fresh nutmeg on top. I list these next two places not so much for the liquor as for the food, specifically the 28-ounce prime rib that both places serve. Rick Reiber was formerly associated with the Iron Bridge Inn until he left to open his own place, W. Rick's Taproom and Grill. Rick and his wife, Diane, offer great food in a comfortable environment. The Iron Bridge Inn, likewise, offers great food in a unique bar and restaurant. W. Rick’s is located between Butler, PA and Meridian, PA at 269 Meridian Road, Butler, PA. Rick and Diane can be reached at 724-482-2970. The Iron Bridge Inn is located on state route 19 south of Mercer, PA and Interstate 80 at 1348 Perry Highway, Mercer, PA. The restaurant’s phone number is 724-748-3626. If you can’t dine on a cruise ship, the next best thing is the Windmill Point Restaurant located on the Outer Banks of North Carolina. The S/S United States Lounge on the second floor (and much of the restaurant itself) is furnished with the remains of the decommissioned ocean liner that was once the pride of the United States. The kidney shaped bar from the cruise ship is in full operation, and it bears brass nameplates of all the celebrities that once sailed the cruise ship and sampled “one or two” adult beverages during their voyages. The food served in the restaurant is as tasteful as that sampled on a cruise. If you are lucky enough to be there during peach season, you might be able to sample the cold peach soup, one of the chef’s favorites. 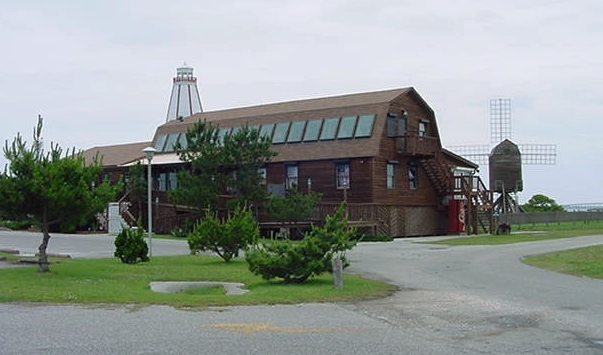 The bar and restaurant are located on Roanoke Sound at Highway 159 Bypass, Kill Devil Hills, NC 27948. The phone number is 252-441-1535. Note: I recently learned that the restaurant has closed. However, since it was a favorite of mine, I've left profile here on the web page for posterity's sake. In addition to the Soggy Dollar Bar and Foxy’s, Jost Van Dyke in the British Virgin Islands is also home to another great bar worth mentioning, Sydney’s Peace and Love. Situated in Little Harbor (also known as Garner Bay), it boasts of some of the best grilled lobster in the islands. The lobster comes in three sizes—small, medium, large—and it is priced $25, $30, and $35 respectively. Sydney’s daughters, Reena and Strawberry, run the place under the wary and watchful eye of Sydney. One of the unique aspects of Sydney’s Peace and Love is the self-serve bar. With no bartender, you wander behind the well-stocked bar and concoct whatever spirited delight you prefer. (It was there that I created my cordial dessert drink I call the Peace and Love.) Everything is on the honor system, so must record your drinks on your tab that is then settled at the end of the evening. Served over ice in an Old Fashioned Glass. The sign over the Bubble Bar at the Lou's Billow Beach in Ashtabula, Ohio says it all: ABOVE ALL, HAVE FUN--and that is what bar is known for. Situated on Lake Road along the shoreline of Lake Erie, Billow Beach is as active and jumping in the winter as it is in the summer. The restaurant serves excellent food—especially the blue butter Delmonico—and they send you a certificate each year for $10 off a dinner in the month of your birthday. 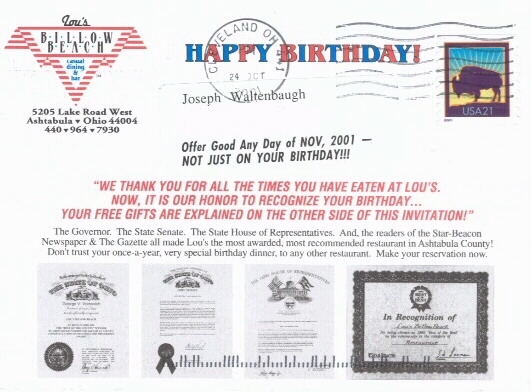 Lou's Billow Beach is owned and operated by Andrea and Tracy Coats, and the address is 5205 Lake Rd., Ashtabula, OH 44004. The phone number is 440-964-7930. Note: When I attempted to stop here in the summer of 2008, I was saddened to see that the place had closed and was up for sale. I hated to see it overgrown with weeds, but hopefully someone will purchase it and restore it to its former prominence as an eating and drinking establishment. Coconuts is located on Trumpeter Gade, an alley between Wimmelskafts Gade (Back Street) and Droningens Gade (Main Street) in Charlotte Amalie on the island of St. Thomas in the U.S. Virgin Islands. I was first directed there by a vagabond Irishman named Dominic who long ago gave up his residence and now lists his address by longitude and latitude. Dominick told me that he invented the Back Street Bushwhacker, a strange alcoholic concoction that is the signature drink of Coconuts. Coconuts is a small bar that is a favorite of St. Thomas locals as well as tourists. A bulletin board in the bar allows locals and crews of passing boats to leave messages for one another. The bar has a limited menu available, and the overflow from the bar can be serviced at tables set up in the alley. Blend with ice cubes until it has the consistency of a milkshake. As a boy vacationing with my family along the shores of Lake Erie, I would often accompany my father to many of the local bars. I would run around and play the jukebox and shuffleboard machines while he engaged himself at the bar. The places were always a little dingy but friendly with mixture of vacationers and locals. 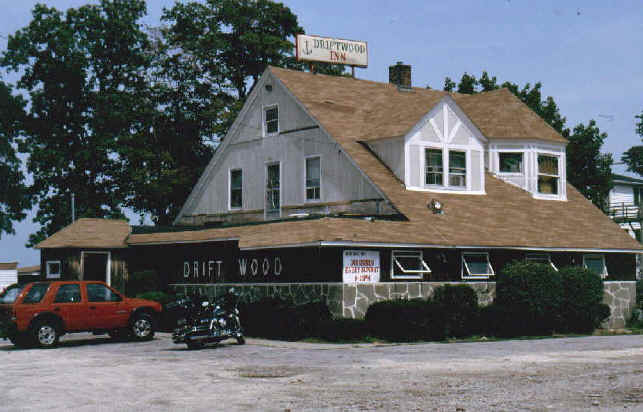 I recently discovered the Driftwood Inn near Geneva-on-the-lake, Ohio, and it has all the characteristics of the great bars I used to visit with my father. It comes complete with a no-nonsense bartender, shuffleboard machines, pool table, and a large deck on the back that stretches out to the beach. 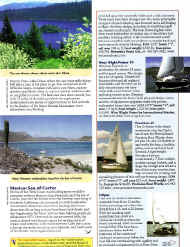 It hosts a good assortment of bikers, sailors, vacationers and locals. The Driftwood Inn is located at 6827 Lake Road West, Geneva, OH 44041 (near Geneva State Park). The phone number is 724-748-3626. Note: When I stopped by for a drink in the summer of 2008, I was saddened to see that the place was scheduled to go up for auction in September. I don't know the outcome of the auction, but none of the employees expected it to remain open and continue service. What would you do if you wanted to open a bar on an island where no one was allowed to go? You’d get an old lumber schooner, anchor it off shore, install a generator for electricity, and bring in a supply boat each day to stock it with food, water, fuel, and liquor. You’d then name it the William Thornton and sit back and wait for the crowds to come sailing in. 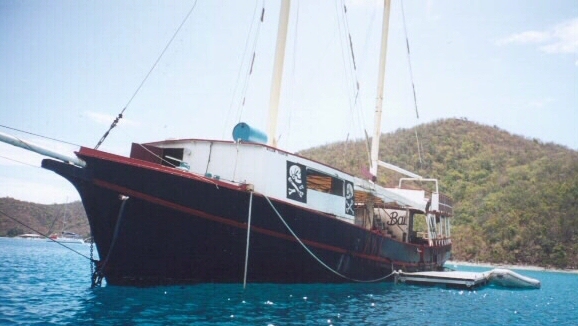 And sail in they would because the William Thornton is one of the wildest spots in the British Virgin Islands. Located on Norman Island in an area known as The Bight, the Willy T boasts of some of the best parties that can be found in the Caribbean. If you plan to visit The Bight, a visit to both the William Thornton and Billy Bones is a must. Both places serve food in addition to drinks. Mix all ingredients with cracked ice in a blender and pour into a chilled Collins glass. Float an extra shot of dark rum on the top and garnish with a Maraschino cherry and an orange slice. 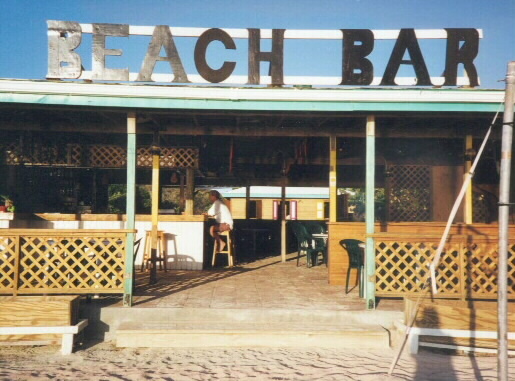 On the Dutch side of the island of Sint Maarten in the Dutch West Indies is the Sunset Beach Bar. 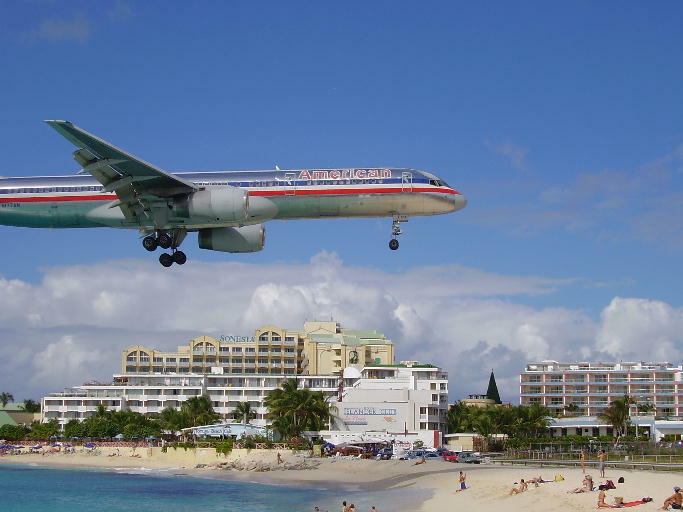 It sits on the beach at 2 Beacon Hill along Maho Bay at the end of the runway for the Princess Juliana Airport. It is a great place to have a drink and watch the planes arrive. The bartender will claim that the bar has an arrangement with the local police to not pull over any car with a Sunset Beach Bar bumper sticker. You might not believe the claim, but after consuming a few drinks (and not wanting to tempt fate), you’ll wind up putting the bumper sticker on your rental car. As a result, most of the rental cars on the island sport these bumper stickers giving the Sunset Beach Bar a lot of free publicity. Blend and garnish with an orange slice and a Maraschino cherry. Sam and Omie’s is located at 7228 S. Virginia Dare Trail, Nags Head, NC 27959. The phone number is 252-441-7366. 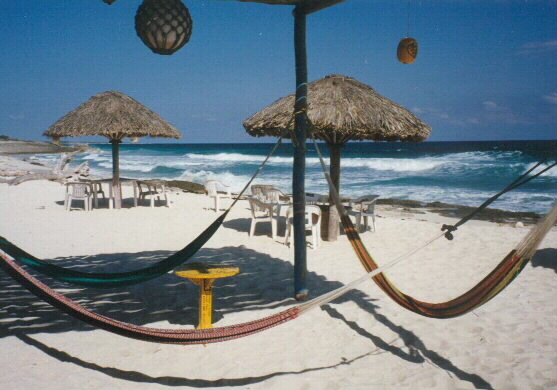 "Reggae Bar and Surf Shack"
Near the southern tip of the island of Cozumel situated off the Yucatan Peninsula of Mexico is the Paradise Café. It sits right on the beach at a bend in the road. A small oasis in the middle of nowhere, it beckons you to stop for a drink on your tour of the island. Right at the bar, a small primitive road branches off the main road and leads down to the Punta Celarain Lighthouse. It’s worth a trip down the road to the lighthouse, but if your rental car is not four-wheel drive, you might consider asking them if you can ride the donkey that always seems to be tied there. Once you reach the lighthouse, you might have to slip the local militia a few bucks to let you inside, but the view from the top is worth it. A generous sprig of fresh mint leaves. Mash mint leaves with sugar, then add ice, rum and lime. Stir and top with soda. Pittsburgh’s trendiest new bar is located in the Cultural District at 123 7th Street, Pittsburgh, Pennsylvania 15222. It possesses a unique open space ambiance with a chic 1960’s retro design. The artwork of Picasso graces the interior while the cool jazz of Stan Getz gently fills the air. Instead of a full meal menu, Bossa Nova features “Cocktails & Tappas”—smaller entrees/larger appetizers designed to be shared by others at the table. It does not serve lunch, but it opens its door at 4 p.m. to cater to the theatre crowd and other night owls. Weekends offer live jazz. The Bossa Nova can be reached by phone at 412-232-3030 or by fax at 412-232-6683. They can be found on the web at www.bossanovapgh.com. There is a spot located just steps outside of George Town, Grand Cayman Island, (south on Harbour Drive towards South Church Street) where you can snorkel as well as get a beer and some turtle soup or a turtle sandwich. The Paradise Bar & Grille supplies the food with snorkeling at its doorstep. The snorkeling spot is called Eden Rocks/Devils Grotto, and the fish are very well fed there and will follow you for most of your snorkeling time. The shallow hardpan stretches out for about 100 yards from shore where the reef starts and is a great place for seeing Parrotfish, Rock Beauties, Tarpon, Yellowtail Snapper, and Sergeant Majors. There is also a snorkel and scuba rental stand there if you don't have your own equipment. A great place right in town where you can snorkel and sample the local culinary cuisine. Located at Havensight (cruise ship dock) in Charlotte Amalie, St. Thomas, USVI, is the St. Thomas Skyride that takes you to the top of the mountain and Paradise Point. The skyride costs $19 per person roundtrip, but for a few extra bucks, they provide you with a bushwacker in a really neat souvenir cup. The view from the top is majestic and its the best place on the island to have a drink and watch the sunset. If you are on a cruise ship, be sure to allow yourself time to get back down the mountain to catch your departing ship. The trip down takes 15 minutes, but power outages are common on the island and you don't want to be stopped in the air half-way down while your ship is departing. Contact Jessica Siebert, Paradise Point, 9617 Estate Thomas, St. Thomas, USVI 00802. Phone 340-777-4540. 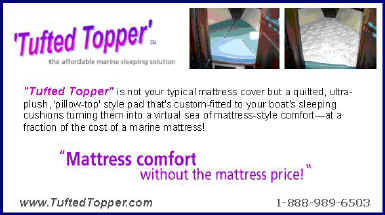 Fax 340-774-9955. jess6681@gmail.com. In Cozumel, Mexico, along the main road between the International Pier and the Punt Langosta Pier is a bar and restaurant called Tikila. It sits right along the water, and it has a small beach behind it that is an integrated part of the restaurant. There is a break in the reef with steps, so you can snorkel right off the restaurant. In fact, they will lend you equipment and even give you a locker to lock up your valuables if you like. All you need to do is purchase a beer or something (and I'm not even sure you have to do that). They also give scuba lesson off the beach. The place is about a six minute walk from the Puerta Maya Pier and a three minute walk from the International Pier. If you purchase a snorkeling excursion from the natives on the piers, the reef right off Tikila is one of the snorkeling spots they bring you to by boat.